I’ve been using Amex Gold charge card for a while and always wish to see the EMI option. While I’m not a fan of EMI, it feels like something is missing without it. And for this reason Amex has introduced Membership Rewards Credit Card (MRCC) which has similar benefits like that of Gold charge card, except that it’s a credit card (not a charge card) and so you can carry forward your balances to the next month and also avail the Amex EMI options if and when required. Amex Membership Rewards Credit Card is Worth it? Note that 4,000 Bonus Membership Rewards® Points to be awarded for using the Card 3 times within the first 60 days of Cardmembership, upon payment of annual fee. If you look at the reward rate alone, this card gives you few points by default but the rewards accumulated on MRCC never expire and by making 4 txn’s worth 1k value or more in a month, you can get 1000 bonus rewards. Above offers are available with all Amex cards including Amex MRCC card. Can you now imagine what kind of savings Amex cards can get you? Meanwhile, its a contactless card, which enables you to make purchases just with a tap and no PIN required on purchases done less than Rs.2000. This makes life more easier. While Citibank rewards card has a very low reward rate, it does have decent partner offers but once in a while. On other hand, SBI Platinum Card has the same reward rate by default. But hey, i had SBI Signature Credit card for about an year and closed it eventually. Even-though i spent a lot on SBI card and even earned Rs.18,000 cashback they neither had a retention team to look into my closure request, nor had any partner offers to keep me with them. Hence i had to say Goodbye to SBIcards. Amex Promo Offer: If you hold Gold charge card, you can get MRCC card as a companion card and is free for lifetime as long as you hold the Gold charge card. For others, Amex is running limited period promo to avail the card free for Lifetime if you have 12L+ income per annum. You also get Rs.1000 Amazon voucher with it. Special Features: Network Offers are lucrative and highly rewarding. So overall, American Express Membership Rewards Credit Card with its low joining fee is one of the best ways to get access to Amex network offers and other Privileges, like, their customer service is super friendly. I still remember having a 20 Minute conversation with one of their executive on a whole different topic: traveling. Renewal Fee Waiver (New): The Annual Membership Renewal fee of INR 4500 will be 100% waived off if total spends on American Express Credit Card in the immediately preceding membership year is INR 150,000; else 50% waived off if total spends on American Express Credit Card in the immediately preceding membership year is INR 90,000. What’s your take on Amex Membership Rewards Credit card? Share your experience in comments below. I recently in January 2017 got this card as a companion card to Gold Charge card. I was not able to add the card to online portal and called their customer care and while on the call helped me linked to my existing online account. If we received this card as a companion card none of the welcome offers are applicable, like 4000 welcome reward points. But you do get extra 1000 points by using this card over 4 transactions of 1000 every month and will reflect in the Gold charge card points. So you can get 2000 points from both cards combined for 8 transactions each of 1000 and above 4 on each card. Yes, Welcome/renewal offers are given only when the fee is paid. yes, that’s a nice way to get 2k points a month. If you get this card as a companion card to your primary gold charge credit card, you do not get bonus 1k points on 4 monthly transactions above Rs 1k each on this card, as you get on the gold charge card. So it serves no purpose, unless you need to revolve. I closed my companion card for the lack of bonus rewards. In case of companion card, the point about getting 2k points for making 8 transactions of 1000+ (4 on each card) in flawed. I got the card for the same reason and didn’t get those extra 1k points on the companion rewards card. So, I’ve closed that card as the transaction were not even getting added to 4 transactions of the gold charge card also. So, it was good for nothing. Siddarth, please take a note. I have this card and will have 18k points in this months. The reward rate can be more considering if one spends only 4-5k and gets 1000 rewards points. True that. I’m nearing that mark, but planning to redeem @ 24k points. You can’t get a fee waiver, if you try to, when you have this as companion card. I read this in the terms and conditions when they offered me one. Oops, that’s sad. Makes sense though. I applied for this card under the lifetime free offer and it has been approved as well. I wanted to know whether i can upgrade my other cards now as well. I have hdfc allmiles card with 1.94 lakh limit but would really like to upgrade it to regalia. What is the criteria they look for during auto upgradation? My ITR will be salaried 12L+ this year. Has it been 6 months with AllMiles with good usage? If yes, you can try to upgrade. If your gross salary is more than 1 lakh per month, you can call HDfC bank to upgrade All Miles to Regalia. Only catch is either you have to take Add on card or keep one utility bill to be paid automatically by the card. Paytm has blocked all my credit cards. I cannot do any transaction reason being card blocked for security reason. They are saying use other credit cards. This is really ***** of them. They will surely lose customers now. Has anyone else faced this issue. Maybe your card got caught with the list of manufactured spending pattern. A tweet to Paytm might help to find the actual reason. Sid – I applied for this card right away as you mentioned it’s lifetime free. Applied via bankbazaar as they are offering additional Rs. 750 amazon voucher post card approval. I just want to know more about Rs. 1000 amazon voucher that you mentioned. How can I get that? What is the source of your information? Gotcha! Thanks. However, disappointed to know that LTF is only for new Amex applicants and not for existing CC holders. If I surrender my amex platinum travel (as I have milked it fully with 4L spends), can I avail of this offer? These smart chumps declined me online, but processed and handed the MRCC on physical application via sales team, though i was eligible with CIBIl as 814. 1 year cooling period is required for counting yourself for AMEX LTF CARD. AMEX still consider customer will join back within 1 year. They re-approve your card just by calling them. Hi Sid, Is it worth now to apply for this card as LTF now ? How reward rate of 0.5% is calculated ? Reward rate is calculated based on the points you earn and its value. Its a good one to hold as LTF, but i guess now the offer is gone. Did you apply? And I get over 18000 points, which I can use for statement credit of Rs.7500.. Don’t you think the percentage is > 10% (and not 0.5%)? Yes, the % of savings goes up when you calculate for >12 mnths. Makes sense on LTF cards. Yes, its for security. I guess almost all banks need it. Folks, I know that there are no reward points on fuel spends, but do fuel spend transactions above Rs 1000 get included for the bonus rewards? Thanks Siddharth. Bonus is what matters. The regular reward points aren’t of much value. I am u sing ICICI Coral card(4 years), which will expire soon. I recently got a Regalia card(3L Limit, issued 2 months back). Any good ICICI card that I am eligible for now? I am looking for a free movie ticket and aviation benefits. You can upgrade your Coral card to ICICI Jet Airways Sapphiro Credit Card (if you like Jet), else coral is just fine. It might take a week or two. @ siddharth What is the difference if i redeem points at 18k or 24 k as both will give 1RP=0.4rs? No difference, it just depends on your spending power. If you can accumulate 24k, wait for it and redeem. As long as you redeem in the 18k or 24k slots, the point value is as good as 40ps, else it drops to 25ps. That’s the thing to note. First of all, big thanks to you for this informative post, most importantly about the lifetime free offer for a limited period. I promptly applied and got my card approved last week, and I have already started using it as well! I have a doubt regarding the ‘1000 bonus points for transacting 4 times over Rs. 1000 in a month’ offer. I understand that Fuel spends do not earn us reward points in this Card, except for the 3% cashback till Jun-17. Somebody had posted in the comments section even recharging the Paytm wallet did not earn him reward points as Amex was counting even PayTM as a utility provider. My question is – if I use this Amex Rewards card on fuel spends or Paytm wallet for more than Rs. 1000 in a single transaction, will those get counted towards the 4 transactions eligible to earn us the 1000 Bonus reward points (even if base reward points are not earned)? Yes, you’re eligible for Bonus 1k points in this case. so, if one adds 1000 INR to paytm with this card s/he doesn’t earn reward points but will be counted for the ‘4 times over 1000rs in a month’ criteria ? Yes you can. Amex don’t mind about Wallet txn’s. Infact no one would too, if cardmembers don’t take the funds back to bank from wallet. Some of amex cards are blocked for last 2 years on paytm for adding funds. They are not unblocking it strangely. I recently got my LTF American Express MRCC. What are the benefits on the LTF and reward points I get? I am not able to see the details now in their website on advantages of this LTF card. Benefits are all same, more like Gold charge card. Which card is better Gold card or MRCC card. I have read all your reviews for the both of them. the only difference is EMI option and credit limit. I am also holding a platinum reserve card and other visa cards. i think MRCC card is better than plat card in terms of rewards. please advice as to which card i should go for. I love my Gold Charge card as it has sky high internal credit limit. But MRCC is also good as it comes with EMI option. So should I get the gold card as I’m not a big fan of emi option…i have never held a charge card before. Can I get this card LTF from Amex? LTF offer only avail on MRCC card. Yes, someone seem to have copied our content and re-written there with some bots. Not sure how 18KGold redemption is better than 24K Gold redemption. can you check if my calculation is incorrect. i got 1 suplementary card with my primary MRCC card. Is 1000 bonus points applicable on supplementary card separately ?? so, can i spend 4k each on 2 cards and earn 2000 bonus points ? if I use Amex Rewards card for loading money on e wallet (Paytmt,Freecharge) for more than INR 1000 transaction will the said transaction be eligible for bonus points. Anyone using the same can please advise. Yes i am doing the same and getting bonus rewards every month. 1. Its complicated. Am yet to explore it. 2. There maybe some Airport/Corporate promos. I am going through a horrible experience for getting the MRCC. I applied for the card online on 1st June and got the sms on 7th confirming that my card will be delivered in 5 business days. Till date I have not received my card. I called the customer care 3 times and everytime they took the details and assured me that I will get a call within 48 hrs, but no one ever called. Never expected such a poor service from Amex. Few days back I escalated the matter as per their escalatation matrix. Although I have been kept apprised of the situation, but still do not know what exactly is the issue. I have been told that backend team has generated an incorrect series card which they are trying to rectify. Waiting for next update from them. On the contrary, I had a great experience dealing with Yes bank. I got my Preferred CC within a week. The whole process was very smooth. My gold card is up for renewal in Aug, and i was thinking to get the new MRCC card and get the gold one closed (unless they renew it for free). I spend approx. 2.5 L on the card. Is it a good suggestion? Or should I continue using only one card from AMEX and look for another card. Please suggest. Hey Sivakumar congrats for your new card. Can you please answer my following questions ? 1. What are the documents they asked for ? 2. How much is your annual income ? 3. They came for physical verification ? 4. How much credit limit you got ? 5. What is your CIBIL score ? 6. How much limit you have in your other credit cards ? 7. From which city you applied ? Can you help me out with AMEX MRCC . Its showing 1000/ as joining fees and second year 4500 + taxes. Is the Life Time Free offer expired ? dont you think second year fee is very high ? Currently the 1000 points scheme for 4 transactions@INR1000/month is no longer valid for the Charge Card, but it is valid for the MRCC. For the former they have made it 6 transactions@INR1000/month. What do you suggest? Should I move from Gold Charge to MRCC? Or similar devaluation might happen for the MRCC as well? Correction : LTF Amex MRCC offer is available till 20th September 2017. LTF till 20th September 2017?? How to apply, as their website is not showing this offer. How does this card compare to Diners Premium? Both LTF. Amex is also good for incredible merchant offers, HDFC Diners has 10X benefit (though temporary). Siddharth, I applied this LTF card and was conditionally approved and they sent me a link to upload few documents. I uploaded the documents and got a confirmation screen, but no email from their side. Now if i am going to documents upload link again, it is showing no documents. How can i check the application status? They should be calling you within a day or two usually to get your sign/docs. What is the difference in MRCC and Am Ex Gold card ? They look to be similar. Is it true that I will get 1000 points for 4*1000 transaction every month or there is some catch to use supplementary card ? For MRCC u will get 1000 points for 4*1000 transactions every month. Also you may enjoy the benefit of minimum due payment. For Gold u will get 1000 points for 6*1000 transactions and you need to pay in full as this is a charge card. While wandering in a well known mall in Delhi, I was interrupted by a Sales representative of AMEX. At first I was reluctunt to go for another CC as I already have HDFC Regalia First LTF & SBI Gold & More. But somehow after hearing about the card features, I enrolled for it, though I was not having any documents with me and just handed him my visiting card. After documents submission via e-mail, my card got approved and received to me within a week. (Pretty fast for me). Now coming to best part. As soon I got my card, I called customer care for certain clarifications, which in my opinion is the most interactive, polite and enriching discussion which lasted over 20 minutes and he was still happy to answer any other queries. This I had never experienced in HDFC and SBI. I did my 4 transactions (Paytm & Amazon pay balance) the same day and bingo after 2-3 days of posting of transactions, I received 5000+ RP including welcome and monthly points. I also enrolled for SI for mobile bill for getting 1000 points. I would surely wait for MMT and other exclusive offers for my upcoming vacations planning. Super blog. New to credit card world. I got Amex MRCC card under life time free offer. Can you please elaborate what is life time free technically means? No renewal charges every year? Also I applied for complimentary card for my wife . Does it have any draw backs. Zero fee for life. Well, complimentary card just serves the purpose. Apart from getting 1000 bonus points for every four/Six transactions of Rs 1000 every month (AMEX MRCC/Gold). You could also get bonus points using AMEX official payback shop using the link “amexshop.payback.in”. So online merchants given on this site can be used for shopping and one can get 5 bonus points for every Rs 100 spend. Make sure to register for ezeclick ID ; go through “amexshop.payback.in” site to land on merchant site and then do shopping; direct shopping on merchant site won’t accrue bonus points. For example you can load your amazon wallet, get cash back as per current 10% cash back on wallet offer (Valid till 24th sep) Max. Rs 500; get above mentioned 5 additional bonus points for every Rs 100 spend . Will share few more tips in future. Waiting for AMEX Diwali offer!!!….. Not applicable for customers in Varanasi ? So it was first year renewal. I was given 2 options complete waiver of fees with no points and 50% waiver with 5k. I opted for the second option. My friend also got the same offer. Interestingly when i asked about lifetime free, i was told we have already waived ur fee so thats not an issue but continue with same fee structure and check next year there may be some other offer. They will evaluate the current ltf offe that is going on, its popularity etc and after evaluation they will may come out with some offers or changes. Also i told them that this year diwali offer is not attractive and 90k will be difficult to achieve for many and how other top cards are coming with better offers. They said that the feedback will be shared with the team. Did u mean you paid 2500 rs as annual fee and got 5k points as bonus? Yes i paid half the renewal fees and got 5k points. Calendar Month, regardless whatever your billing cycle is. Hi guys, Just got the Amex MRCC Card and things went smoothly from start to finish. All documents were uploaded electronically, got a confirmatory call, Payslips requested & mailed and bingo, card is here; and there was nothing I did in physical form. Decent Credit limit of 4L. With the LTF offer Amex is the replacement for my Regalia which I am planning to surrender/downgrade now. Hope Amex acceptance is good. Will update after using MRCC for a month. Hi Guys, Just an update after using MRCC for about a month now; ‘Good so far’. Promptly got the bonus 1000 points as well for 4 tranactions above 1000 rs. Some Merchants/Hotels including one in Hyderabad declined Amex and it is not as well accepted as Master/VISA. However I was expecting this. Amex MRCC max credit limit is 4lacs and cannot increase above that. Is it a confirmed information? Can anyone confirm it? Yes that’s correct, as per my last conversation with CustCare, they enhanced my CL to product maximum of 4L. I call and ask for limit enhancement every six months and last time i was told by Amex team that i have maxed out on credit limit. Yes, this is absolutely correct. I have that limit on my LTF MRCC card and cant get it increased further even by transferring from my Jet card which has a limit of 6 Lakhs. I was trying to apply Yes Exclusive LTF by showing limit of 8 Lakh on one year old card, and thus trying to transfer limit from Jet to MRCC as I wanted to cancel Jet after first year. They were ready to transfer limit from MRCC to Jet, but not the other way round saying that MRCC peak is 4 Lakhs. I’ve a regalia first, citi rewards, citi IOC and now AMEX is giving this card lifetime free for all employees (with all the bonus points and welcome offer). Is this really worth considering I’ve regalia first where reward rate is higher? If I go for it, which one should I use more often? From the second year onwards, we need to pay a fee of 4000 plus. But the sales executive says that is we spend an amount of 100000 at any shops (even in super markets), he says we will get some bonus points and it can be claimed against the renewal fee. Is it true.?? Please advise. Great service by Amex. Got my card within 7 days. Checked my eligibility for Amex MRCC online on 10 December (Sunday) at around 4.30 PM. Within one minute I got the sms conveying my elegiblity and information that their executive will contact me soon. Next day, on 11 December (Monday) around 10.30. AM, I got a phone call from Amex asking my details on gross salary, residence, job and phone number. Immediately, I was told that I am eligible for MRCC card. They also sought my convenience for meeting their executive in person and handing over the requisite documents. I fixed meeting for the next day i.e 12 December (Tuesday), 10.30 AM at my office and amazingly the executive met me at the scheduled time and place and collected my salary slip, salary account statement of last two months , copy of PAN, copy of Aadhar, Copy of my official Identity Card and one passport size photograph., all self attested. Next day i.e on 13 December (Wednesday) at around 10.30 AM, I got a mail from Amex congratulating and informing me that my application has been conditionally approved. Same day around 1.30 PM, I got a verification call from Amex. Next day , 14 December (Thursday) at 1.45 PM I got a sms that my card has been approved and will be delivered within next 5 business day. Today on Saturday at around 10.30 my doorbell rang and when i opened a courier boy was standing with my Amex MRCC Card in hand . After verifying my identity through my Aadhar he handed over my card to me. Wow… what a service….. I din’t expect so fast. Moreover, I have been given a handsome credit limit of Rs. 3.15 lakh ( This also I had not expected). I am already having SBI Simply Click ( with Rs.1.00 lakh credit limit) which is also one of the finest cards available right now. I had applied for SBI Prime and qualified for that too but SBI wanted me to close SBI Simply Click as they have policy to issue only one card. I could not find proposal very practical. Therefore, I was in search of some card matching SBI Prime features, when I came to your blog. Your blog is quite informative and helped me to arrive at a decision. Hoping a wonderful experience ahead… … If you can suggest some strategy for gaining maximum advantage using my these two cards…Please. Great narration of your experience! With MRCC, just make sure to grab 1k points a month and redeem them for 18k/24k collection for good value. Thanks a lot. Your blog is really very informative. I got a call from amex customer care for taking their MRCC . I told them i dont want a card with annual fees . On that they provided me Gold Credit Card LTF. I repest its not gold charge card but its a gold credit card. Searched everywhere but couldnot find this gold credit card details . Today i received my card . Its like MRCC but without rewards written ( Which is on the sides of MRCC card.) Can you please tell what this card is or any link for this card . Because i dont find this card anywhere. It is the MRCC card issued to gold charge card holders as a companion card. It is LTF card as long as you keep the Gold charge card. The benefits are same as the MRCC card. Amex seems to aggressive in pushing card these days. Their approval rate and credit limit also seems to be liberal. One person whom I know also received this LTF Gold credit card offer. Yes Ashwin, even amex sale rep told the same. Gold Credit card approval is easier to get it seems, he was confident that card will be approved. And also got 3X credit limit of my monthly salary. I also applied for AMEX card 2 months back and got LTF Gold credit card. It seems they are giving away those cards with less constraints to attract new customers. Eventually if there are eligible for other cards, they can upgrade but lose LTF offer by AMEX. So only path I see from this is, getting another amex card (Travel Plat. card) if my spends increase in near future or travel aboard. You cannot upgrade or downgrade a credit card from Amex. You can technically close and open a new account. Product change only works within charge cards in India. Closing an LTF account is unadvisable unless you want 2 other credit card variants, because they allow upto 2 credit card accounts per person. Should I direct all my expenses on this card ? Any advantage of spending on this card ? Are they going to upgrade this card ( need lounge access minimum in LTF). It is exactly same as Gold Charge Card but with fixed credit limit (charge card has no pre-set limit). Another feature is you can use EMI facility and also rollover your outstanding (though not advised due to high interest rates). No monthly bonus points on gold credit card. Ever thought you could swipe for 4 transactions in Paytm for loading 4*1000=4000 rupees and use the money almost everywhere.It will work on Amazonpay too. Both have different reward structures and strategies to use. If u can spend more than 4L then it makes sense to go for travel card. Mind you the vouchers can only be used for domestic travel. I got 4000 bonus points by using 3 times in first 60 days . How can I redeem it to 1000 Rupees so that my 1st year charge will be waived? How can we redeem points available in my card? I applied for a MRCC card after using my Regalia First with a credit limit of 2L . However i was really disappointed with my credit limit on AMEX MRCC ; just 50k. That is inspite of a monthly income of 1.25 L. On top of it there is no mention of the offer of 4000 bonus points on using the card within the first 60 days. Has this been Revoked. And how can i get my limit enhanced as I was planning to travel a bit this year? The sales representatives were behind me with the offer Cash to Rewards. So how does it work..!! On monthly 4 transactions of 1000 Rs, you get 1000 points. That means 12000 points in a year. if No, is it worth it to spend it for high 2nd year fees..? I feel Its a cycle of rewards & high yearly fees. U will get 1000 bonus points when the total spends crosses 50,000/-,, u can also get 1000 points for any standing instruction, u also get 1000 points for an add on card which is as usual free of cost. It’s easy to reach 18k points, but it’s difficult to get 24k points in a year. The annual fees as said by the sales representative gets waived off usually when contacted to customer care depending upon the use and payment. Which card is better MRCC or The Everyday Spend Gold Credit Card? 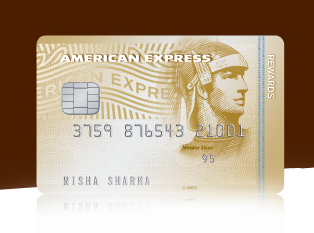 Could you please through a light on the newly launched Amex Gold credit card? Both card are good. Everyday is entry level card. Both have different strategies to spend. Check out their page on website and check where u spend. Almost everyone here has MRCC with them. LTF Offer on MRCC is now upto 30thmay18 , They have increased the income limit to 15L. I smashed the barrier of 24k points today. Shall i purchase something and then ask for statement of credit(10k RS OFF)? Can i ask AMEX customer care to place my request for Statement of credit (10k rs off) even before buying something? HAs anyone redeemed their points on amex? pls help! You can place the request and then you could purchase or purchase and place the request it would all one and the same. They would take about 4-5 working days to credit the same to your account. Last time when I wanted to redeem I could only find 10K cash back option the above 3 were there. Check if these have been added back and if your interested in them. Hi, converrting to mariott/spg points is much better than converting to statement credit. Due to the RBI restriction, Amex has stopped the 11K Amazon voucher for 24K points (can’t issue vouchers greater than 10K). For 24K points, best redemption option is 10K statement credit. Or you can get Rs 8000 amazon voucher for 18k points. Curious, do the reward points expire? Trying to figure out if we need to reach and redeem the 18k/24K points the same year or it is valid whenever those points are accumulated. I was thinking to try this card as it is being offered LTF. However, it is not really LTF. Only first year charges are waived and 2nd year if you spend more than 1.5L. However, I am trying to think if it is worth going for it. It seems to reward the people who spend less but pretty frequently. I hate to count the number of transactions I am doing in a calendar month. It is another thing to worry about. And then if I spend 4000 or 4L, I get the same bonus points which is absurd. The normal reward rate of this card is pretty pathetic , <1%. SO, it seems if you want to make most of this card, you have to plan your expenses across cards, keep track of dates etc which I hate to do. Only thing is if they consider wallet loading, then we can do 4 1000 transactions at the begining of every month and claim the 1000 bonus points. Is this Allowed? Even if it is, I don't know how long it will continue. The more cards you have the more trauma you have. Every single transaction you have to track to see if they are reaching the minimum limit of fee wavier and are reaping maximum benefits. I would suggest you not to as you have clearly mentioned that you don’t like to keep track. Yes, you are right. I am not going to go for any additional card unless it’s completely LTF. AMEX membership card is NOT LTF completely. Only first year is free and 2nd year renewal fee is waived off only if you spend more than 1.5 lakh. So, one needs to keep track of the same. Secondly, their bonus points is terrible. You have to keep track how many times you have swipped the card every month. I liked the idea of bonus points based on annual spend but number of transactions every month is a headache which I can’t track. On Principle, I think we should not have more than 1 card which has spend based fees waiver. Very difficult to track. I have one other card STANDARD CHARTERED TITANIUM with 7.5 lakh limit. SInce it is an old card with good limit and LTF, I will keep the same. IN my current set of cards, all cards except SBI Prime card are LTF and SBI Prime has good spend based reward points and waiver. So, I make sure I hit the milestones on my SBI card and rest all I don’t have to keep track.2 reasons why I am keeping the SBI prime card is that SBI has some cool offers on flipkart, amazon etc and secondly, I can redeem the points for statement credit which is awesome. It seems you have already decided mentally not to go for this card-no matter what we say will make you change your opinion, then why are you asking for our opinion and writing 1 page long essays? Amex gives reminders regarding number of transactions .Hope you read messages that come in your phone. I am little confused about the reward rate for this card. Suppose I get this as LTF. If I just spend 4×1000 every month then at the end of 18 months I would have 18k points which translates to 7.5k statement credit or 8k Amazon voucher. So by spending 72k on the card you get rewards worth 7.5k at least. This looks too good to be true and I think something is amiss. What am I missing? You are missing the the annual charge. The LTF in Amex offer is first year free and there are annual charges if 4500inr from the second year. You have to spend 1.5 lakh for fee waiver. If you don’t spend 1.5 lakhs in a year, you end up paying second year renewal fees of 4000 + taxes. You are not missing anything. I have myself gotten 11k Amazon vouchers twice for 24K Gold benefit by clubbing points on this card and Gold Charge card. I got 48000 points within 13 months by applying for Add-On cards with 2000 points for each Add-On card and referral for my wife when 8000 points were provided for each referral. I really milked AmEx. And they still give top-notch customer service. I am now heavily inclined to make them my primary card. They are really unbeatable in service levels even if you are a LTF card holder. how much were your cumulative spends? Hello , last year i got Amex gold credit card LTF. Now as joining fees was not there for MRCC so i applied for it. On the basis of earlier card they issued me MRCC card. my gold card limit is 375000 but the MRCC card which I recieved is having limit of only 50K . Should i call customer care for increase or should wait ? So it was time for 3rd year renewal and was offered 2 options for fee waiver. 2) 100% waiver with no points but have to do Rs.30K spends in next 90 days. Mind u i have 4 cards with Amex it was discussed and based on that i was offered above offers as my spends on this card were limited to 4 tx of Rs.1000 each month with occasional swipes for small amounts every month. Last year i was given 50% waiver with 5K points. 1. What was the first renewal offer? 2. Do you spend just about 4 L or more? 1) 50% fee waive off with 5K points. 2) Nope i must have spend around 60K. Thats why they must have asked me to spend 30K in next 90 days. They have discontinued amexshop payback offer. One used to get 5x membership points while shopping through that. Hi, I recently got the AMEX Rewards Credit Card last month. Now I have come to know about the lifetime free. What does this actually mean? If in actual sense, it means that all the fee would be waived, what should I do next to avail the same benefit. I have already flagged it to the AMEX customer care but am still to hear from them. I also want to know that how many complimentary lounge access is provided by this card and can wife & kids avail the same in this card. Membership rewards card is free for salary 15lac and above, however i think at the time of application the relevant promo code should have been applied? Alternatively u can spend Rs.1.5L to get the fees waived off. For all spends of above 1.5 lac would be considered for waiver, even for LTF cards this criteria applies. Recently opted for American Express MRCC and HDFC Diner ClubMiles both simulatenously. Received the Diners Club Miles a Week before the American Express so in terms of processing time Amex was behind in terms of processing time atleast for Mumbai Region . ( Offline Application & not through online channel ) . Being from a top corporate the Amex team provided the Card for First Year Free and second year onwards 2250 + GST inspite of initially asking to bring more than 5 friends reduced to 2 from the same organization to opt for the card. Overall it seems a good deal that I would be getting around 18k points a year converted to 8k Amazon GV by spending around 48k in a year. Rest of the stuff is as usual. Their customer care is pretty friendly but again its not a super premium service. Well till the bonus reward points continue this can be a good option for people especially who are getting it LTF or who can atleast get 50% waived. Did not opt for the online as the versions on the website saying first year free and Joining Bonus were preety confusing . Also instead of spending 90000 for 50% waiver I have a card with 2250 renewal for life. Can anyone help me out whether wallet loadings like Amazon Pay / Paytm are counted for 1000 Bonus Points. As per CC yes we can but need a confirmatin. PS : Indusind seems to be bringing some inovative products with Nexxt and Duo Cards which were on my radar.However with duo maintaining a savings bank with them was a hassle and low points conversion ratio which I dint want whereas Nexxt has just now released and it too seems a very basic card for rewards points perspective. Yes, any transactions above 1000 will be considered for bonus reward points. If I spend 2250 for renewal I would get 5k points + 12 * 1000 . So at the end I would have 17k points . For the rest 1k points 2 points per 100 ( I understand that wallet loads won’t be considered fuel utilities will be ignored ) . However maybe I can get approx 500 points collected from spending on legitimate transaction. Supplemenntary cards can also be considered as means to increase my points to more than 18k atleast in the first two years . Am i correct in my calculations o missing something? Also as stated by someone are standing instructions eligible for 1k reward points ? Also any milestone rewards possible for this card like 50k and so on ? Wallet load will be considered. Spends on Amex travel site will yield more points. 3X on flights and 10X on hotels. Also Amex run promotions every year like additional rewards points for spends on supplimentary cards or for applying for the same. I am using it for past 5 years and acquiring 18K points won’t be an issue(at least for the first 2 years). Try reffering friends and acquire 8K for each referral. That is correct. 12*1000+ 4000(joining bonus)+ 2000(referral bonus). I used this card for lounge access in Mumbai yesterday and it only charged me Rs 2. Checked my statement as well. The lounge benefit is not mentioned anywhere so I do not know how I was able to avail it. Would it be possible for you to call AmEx customer care and ask about the lounge access on mrcc card, please? I tried to use my Amex Gold charge card recently after seeing this comment. But the lady in lounge plainly rejected twice saying “its not accepted sir”. I wasn’t in the mood of explaining her anyway so used diff card. Will try again sometime and update here! My reward rate calculations for this card below. Let me know if I am missing something. 3) The regular points on spending ₹1.5L will be 3k MR points. Now, you have a total of 19k MR points. 2> 3L annual spend = 6000 regular points. Still, it might be good to get this card just for the first year benefit itself. Fron second year onwards, this card is really not that great particularly considering very low normal reward rate. If you are a high spender, (>5L annually, for example) it is absolutely avoidable as there are no additional bonus points given for high spends and the normal reward rate (without considering bonus points) is pathetic (<0.5%). I recently got my MRCC, i confirmed from Customer Care, you get renewal benefits even in case of spend based waiver. Hi, on reading above reviews, i am not sure if amex lifetime free offer is actually free for lifetime. Please can someone confirm when they opted for LTF, they did not pay any fees four second year as well? Also, If i make 8 transactions of 1k each in a month will i get 2k points ( basis 1k for 4 txns )? It would be of help, thanks. Only 1k bonus points a month max . So with 4 transactions you can maximum earn 4k points . Joining bonus 4k points with certain spend amount . Referral 2k points . Renewal if any fees paid is 5k points . Easy to earn 18k points through which you can get an 8k Amazon GV . LTF as far as I know is only applicable if salary is above 15L pa . Ask for Corporate offers as well . In my case they waived 50% fees for lifetime . If you want to spend a lot of money using this card it’s not great as rewards are capped to a great extent . However if you want to spend only the required amount to get reward benefits then this is a good card. Also for new cards if you register a standing instruction additional 1 k points . Plus add-on cards additional points are issued . Thanks Siddharth for guiding me and fellow enthusiasts all through 2018, wishing you n cardexpert.in a great year ahead. Got my MRCC today, thanks for it. (limit 3.3L). 2.If we not able to met 18k in one year shall we achieve in say 15 months and redeem for voucher if there is no annual fee ? LTF for > 12Lakh, is it for first year only ? or annual renewal also free ?. shall we achieve and use 18k in more than one year? Bonus for 4 1k transactions are applicable in calender month or per card billing cycle…. Depending on when you get it think if it’s calender month we can squeeze out a 1000 rewards points extra…. Especially when it is towards the end of month that the card is acquired. I received this card today and I have been provided with a credit limit of 25k which is really laughable. I have a limit of 1.4l on my HDFC regalia first . I wonder why Amex would provide such a low credit limit.